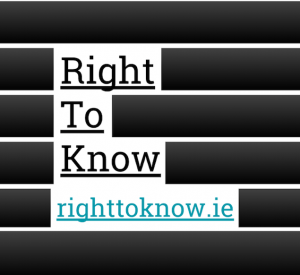 Right to Know and our publishing arm TheStory.ie could not exist without our donors. The more donors we have, the more we can resource the organisation and the more we can campaign to protect and expand transparency legislation and investigate FOI-sourced stories. If you want to support us, you can donate on a yearly basis for €25, €50, €100 or €500 . You can keep up to date with our work by following our campaigning work here on the blog as well as Twitter and Facebook. Want it all in one neat package? Then sign up for our monthly newsletter where we’ll bring you the latest updates on RTK and TheStory.ie and show you the best of our work. As we believe all not-for-profits should, Right To Know publishes its expenditure. We believe our members have a right to know how their contributions are being handled. You can view exactly where the money goes below. It would be a bit easier if you were to accept payments on a monthly basis, whilst some rounding of the annual sub would be necessary, it would I feel attract more subscribers. Anyway I have joined Right to know and well dome for all you have done so far. Right. You have one more subscriber. You have achieved so much already, I’m really impressed. You need to continue doing exactly what you’re doing. Keep at them. Very best wishes to the team. I don’t understand how Cabinet Confidentialty could be used to prevent access to documents. Sure CC covers just that: conversations and not information relevant to us all. Their evasion means there is something to hide.